A strong customer service team culture is the direct result of trusting, engaged employees. Team culture has become a bit of a buzz phrase over the past few years, but for good reason. People spend a lot of time at work and walking into nightmare environment with a team you don’t really jive with can take its toll. On the other hand, being part of a team that fosters a positive attitude and believes in the company vision and goals, can be an amazing experience. But a positive, motivated, goal chasing team doesn’t just form overnight. It takes deliberate action, honesty and people that care enough to make it work. 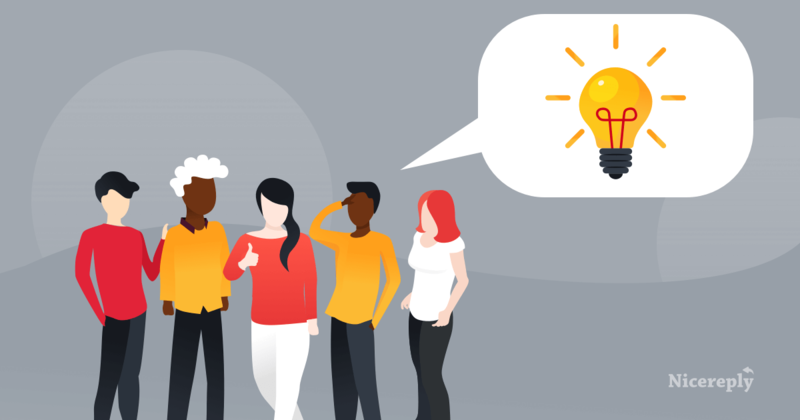 If you’re a team leader who knows their team has what it takes but is just lacking a little direction, here are a few steps you can take to begin creating a positive, growth-driven customer service team culture. Maybe you read that headline and rolled your eyes a bit. But let me stop you there. Gratitude and a positive attitude doesn’t mean your team needs to walk around with a smile plastered on their face, praising each other 24/7 and having collective gratitude journaling sessions (but if that’s your thing, more power to you). It only means that it’s ok to loosen up and step back from the high-stress, competitive and thankless environment that so many workplaces consistent of. Sure, it might be getting things done, but are your people happy? 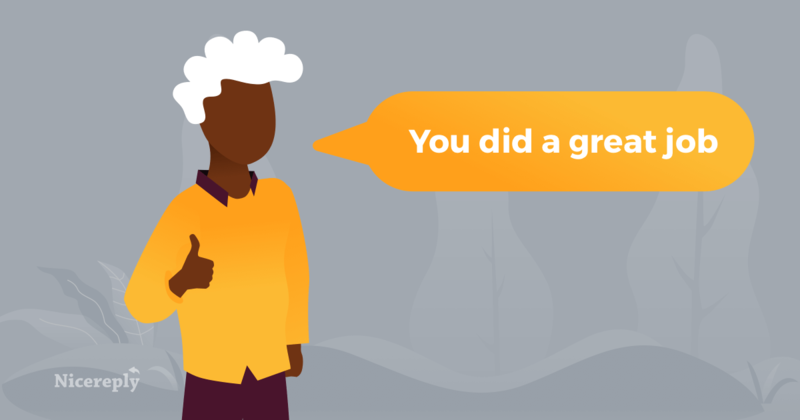 Psychologists Adam Grant and Francesca Gino conducted a series of experiments and discovered that receiving a simple “thank you” from a supervisor boosted employees’ self-worth and self-efficacy. And the cherry on top? These experiments also revealed gratitude has a spillover effect and people become more trusting and are more likely to help each other out in that type of environment. It could be as simple as telling someone you appreciate their work or complimenting something they’ve recently accomplished. Showing a little gratitude for your team can go a long way – people always want to know that they’re valued. But be aware not everyone likes to be thanked in the same way. Yes, some people love public recognition and praise or gifts. But for others those acts of gratitude could make them uncomfortable. Customize how you show your gratitude to each individual. Which means you actually have to get to know them on a more personal level. Whichever direction you choose to take, just remember to be genuine in your efforts. An office party is no substitution for true employee appreciation. Just like you can’t buy love, you can’t buy employee trust or engagement. No amount of free coffee, ping pong or team trips can create that. A strong customer service team culture is the direct result of trusting, engaged employees. To reach this level of team engagement, there needs to be clear expectations and communication from team leaders. If employees can’t answer questions like, “what exactly are you trying to achieve and why?” or they don’t understand what purpose they serve on the team and how they can contribute, it’s time to get everyone on the same page. As CX specialist Jeff Toister put it in his interview with Zendesk, engagement is when employees understand what a company is all about and decide they’re passionate about that purpose too. It’s not that everything is rainbows and sunshine every day, because that’s unrealistic. Instead it’s about having employees that come to work everyday to work towards the same goal and have a desire to improve the company’s overall bottom line. Additionally, this means that as a leader, being receptive to feedback, questions and ideas from others is important. Otherwise it’s more like barking orders than setting expectations. Encourage people to work together and but also contribute their own individual skill set and knowledge to create an overall stronger team. Give your team ownership over whatever goals you’re attempting to achieve and trust that they can handle their mission. Does Your Team See The Vision? On that note, finding people who fit with the culture your company is building, see the vision and want to be a part of it doesn’t just happen without intention. It requires hiring the right people and assessing your current team culture. Your company vision and mission are the statements that attract the right (or wrong) people to your business on both a customer and employee level. If it’s disjointed that could mean not everyone on your team is aligned with the business, which can actually be quite costly in the long run. Examining your current culture and the type of people it has attracted can be eye opening. Take a look at the performance you see from your team. How they handle challenges and how often they pop up them? Is your team growing or are things stagnant? Do people seem to be excited about their work or are they just there because they need the money? Those are just a few of the probing questions to understand where your customer service team culture stands. You could also choose to have deliberate conversations around culture with your employees. Or send out surveys to better understand people while allowing them to remain anonymous. If things are off and people aren’t ultimately aligned with your business and its vision you may notice there are people with toxic, negative attitudes and who don’t really care about their job or the team. Even worse, employees you thought were happy just suddenly quit. Having open conversations about the overall company vision and thoroughly vetting new hires can save the company from high turnover and toxic, unengaged teammates. Pulling back the layers of your team and how they work requires transparency and honesty on both sides. Your team has dedicated their working days to you and the overall company dream, it’s only fair to be real with them. Not only does enforcing honesty as a policy avoid general confusion but it makes leadership and management easier to trust. Secrets and avoidance only make room for false assumptions, rumors, anxiety and an overall negative vibe. Becoming disconnected from your team because you’re at a leadership level can make people feel seperated. It creates us vs. them environment that’s the very opposite of a strong customer service team culture. Get in touch with what’s going on behind the scenes in a genuine way. It doesn’t need to be formal or serious, but have conversations with people. Get to know them and their work and learn to understand the people on your team – it works wonders at breaking down barriers. As a team leader you must realize that it’s on you to do just that – lead the way. Take ownership of customer service team culture you want to create and then put that vision to work. It’s easy to get caught up in daily to-dos and deadlines but making sure your people are taken are of and can count on you as well as each other to work towards common goals will be a lot more satisfying. 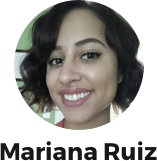 Mariana Ruiz is a copywriter + blogger with a background in customer support and digital marketing. She uses her experience and storytelling superpowers to create content for brands + businesses she loves. Connect with Mariana on LinkedIn!